Monday morning, listening Louis Armstrong and drinking a warm cup of coffee. Not sure I want to do more than this. But I should. My fridge is full of leftovers after the weekend. I know what it’s going to happen with them if I don’t invent something. Right straight into the bin! What a waste of money and not to say effort. I have to think quick… After another sip of coffee… Ok you busted me. Of course I know what to do with them, it’s leftovers gratin! Easy to make, easy to eat and the best part (like what I’ve said before it’s not enough), it’s good hot, warm and room temperature, mornings, lunch, dinner, sidedish or meal itself, potlock or fussy eaters… Although it’s a no-fuss kind of meal! And now you are probably wondering what’s in my fridge… Well, let’s see. Baked sweet potatoes and broccoli. 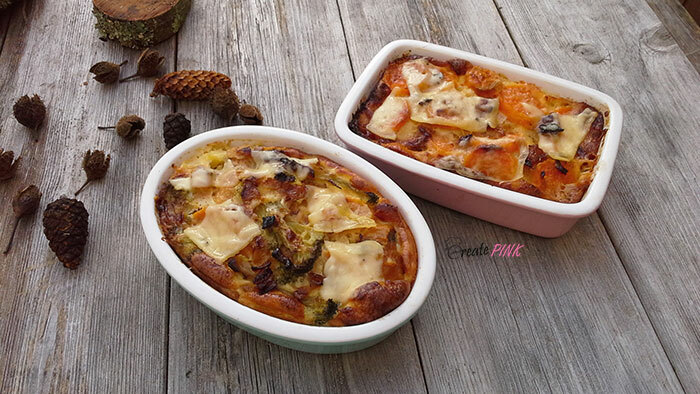 I think I can work with that, but I will add some white potatoes to balance a bit the sweetness in the sweet potatoes, Cheeses of all kind (as I love cheese and I always buy more than I can eat or use in two months!) and sour cream. Instructions: Preheat the oven to 350 degrees. Melt the butter in a large skillet over medium-low heat. Add the onion and cook until completely soft, about 10 minutes. I like o use mine I little bit brown. It gives a nice caramelised flavour. Sprinkle with salt, pepper and thyme. Mix the cream, milk and 1 cup cheese. 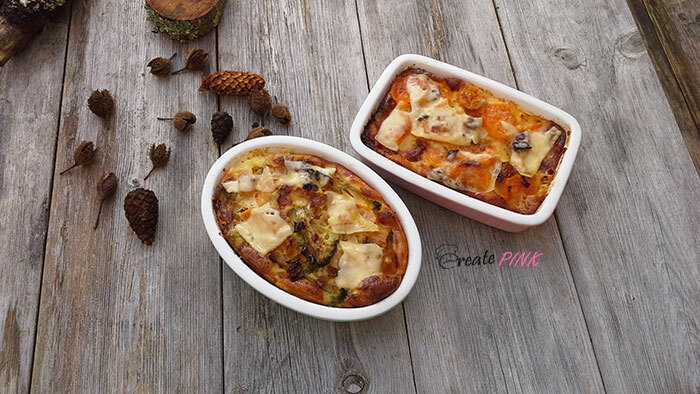 Butter a gratin dish and alternate the sweet potatoes, potatoes, broccoli and the onion. Add the cheese mixture, spreading it evenly in the dish. Cover the gratin with aluminum foil and bake for 25-30 minutes. Uncover, sprinkle the remaining cheese and then bake another 15-20 minutes, until the top is brown. Serve hot or at room temperature. This recipe is very easy to put together even if you don’t have any vegetables leftovers. Use fresh ones and combine anything you want! That’s my kind of meal!